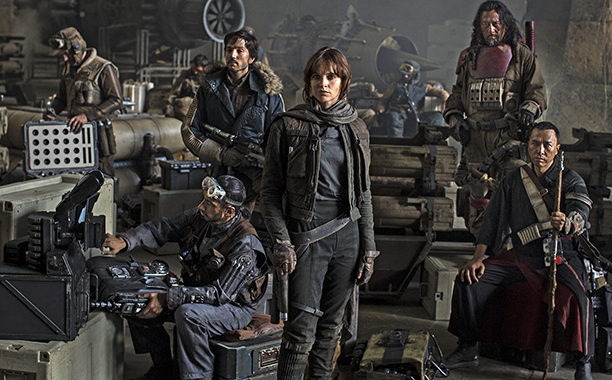 The heroine, played by Felicity Jones, is in the center of the frame. She's actually 63" tall. The most engaging and interesting character is a re-tooled Imperial droid, K2-SO. A long time ago, in an Atlanta, Georgia you would barely recognize, I saw the original Star Wars (1977) at the Tara Theater on Cheshire Bridge Road. We went to an early showing. The next screening, the line for tickets tracked twice around the building. I enthusiastically went to see the Empire Strikes Back (1980) which introduced a new character, Lando Calrissian, the only black man in the galaxy. 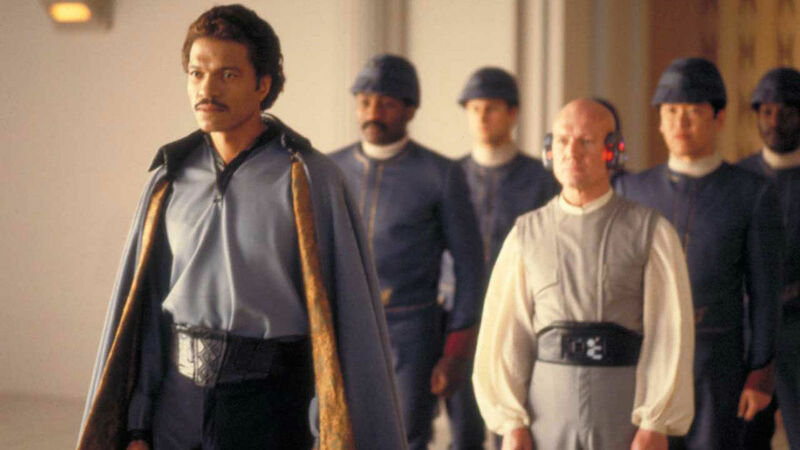 They finally got poor Lando some company in Return Of The Jedi (1983). I was even there for Episode I (1999), starring the great Liam Neeson and a much less memorable Ewan McGregor. The villain was Darth Maul. Subtle. By this time of course, the franchise was beginning to wane under its creator's fundamentally juvenile worldview. 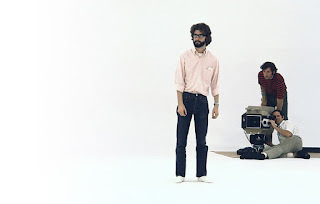 It's hard to believe this is the same man who made THX 1138 (1971). My previous last attempt at a Star Wars film was to watch Christopher Lee in Episode III: Revenge of the Sith (2005). What follows is stitched around some comments I left at iSteve. Rogue One (2016) is not bad, and not entirely emblematic of our cultural malaise. I fully expected it to be formulaic and illogical, and my expectations were met–nay, exceeded–so I was able to relax and enjoy the ride a bit. There's a huge space-air-land battle at the end on the Imperial Resort/Archives Planet that is pretty cool, even suggestive of some professional, technical military input. Steve Sailer notes that most of the time Lucas is just recreating the old World War II movies he grew up with. Other than that, the movie is the usual assortment of Star Wars action figures and playsets. Having the series walk backwards on itself for the sake of recycling characters who grew old and died ages ago/forward in time is getting to be absurd. 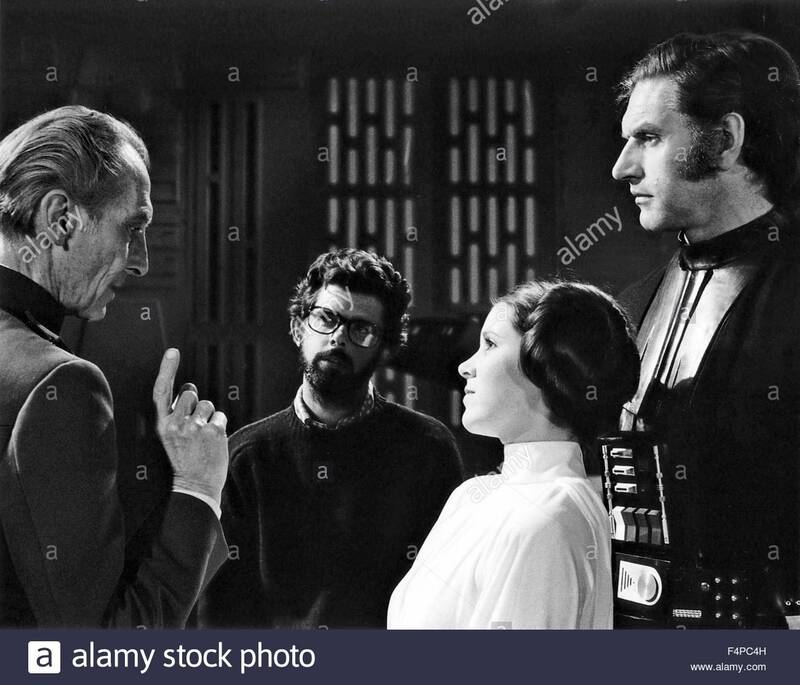 CGI of people such as the hours-ago deceased Carrie Fisher, and of Peter Cushing who's been in the ground twenty-two years, is just jarring. C-3PO and R2-D2 even get cameos for no reason whatsoever. 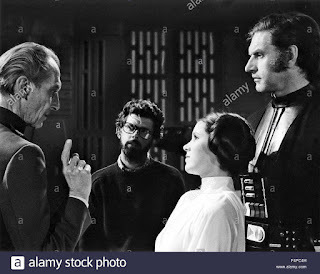 Darth Vader gets rolled out of his nutritive bath, noticeably lacking the graceful, measured movements of the physically imposing David Prowse. The movie seemed to be aiming really, really young with sloppy plotting and dialogue, cartoonish villains, and busy, fast-paced visuals. And sure enough there were lots of children under age 10 in the audience. Several of them clapped and cheered when Darth Vader came out. The other thing that struck me is how unremittingly business-like this gloriously diverse galaxy of a long time ago and far, far away has become, with a total lack of sexual or romantic tension in the film. Not that there’s anything wrong with that, but it is (or was) a huge part of adult life and to have nothing like that anywhere in the movie tells me the target audience is adolescents. This isn't low-brow; it's after-school special. Why put the directional controls for the transmitting dish out on the very end of an open-air platform a thousand feet up? Why wouldn’t Head Science Guy like, e-mail the plans to the Death Star, send a thumb drive, take a picture with his cellphone? And wasn’t the whole point to transmit the plans? At one point everybody’s scrambling around, playing hot potato to get a stylized computer diskette on to a cargo ship with Lord Vader one step behind. Heroine couldn’t take some notes while Dad was talking–this is important? Why are freaking Sturmtruppen walking around in white plastic that doesn’t protect them from anything--a hit with a mop handle, a blaster, falling twigs? All that tech to send massive ships at light-speed and Desert Planet is … a desert? And you can put a force field around a whole planet but don’t have enough surveillance to find the single rifle squad fumbling around the landing pads with no ID or credentials? Pulp-comics level illogic. I’m probably insulting pulp comics. I mentioned the lack of romance but there is a soulful embrace by the male and female protagonists at the end, right before everybody dies in the nuclear conflagration. There’s a pedestrian explanation for killing everybody off: it’s a prequel and these characters never showed up retrospectively. So again, the series cynically backpedaling on itself to recycle increasingly shopworn characters is becoming absurd and incoherent. In sum, I wasted twenty-eight dollars on this crap. Just got back from this as well. The young kids that sat behind me seemed to enjoy it. And were kind enough to provide a running commentary track as well. "That's an ATAT!" "That's a star destroyer!" "That's Darth Vader!" Etc etc. "By this time of course, the franchise was beginning to wane under its creator's fundamentally juvenile worldview. It's hard to believe this is the same man who made THX 1138 (1971)." Personally, I suspect that deep down, Lucas was creatively bored with Star Wars after the end of Empire Strikes Back, and only kept coming back for the buckets and buckets of money. The prequel scripts in particular appear to have been dashed off in about a week, with the sets already under construction. Back in the early 2000s, he should have swapped franchises with whoever was making the Fast and the Furious films, or something else more in line with his real-life interests. Maybe he could have first done some preachy liberal message movies to screen at Sundance, just to get them out of his system. Or, to freshen things up with a dark tone and a new direction, he could have turned over screenwriting duty to his old pal John Milius. In any case, everything in the franchise since the end of Empire seems to have been a cynical cash grab based around nostalgia and kid appeal. Star Wars had great potential but just fell apart. The "prequels" were untidy, which raised more questions about the previous films than answered, and some of the stuff was so badly written, not to mention imbued with modern day axioms like "empire = bad, democracy = good," that it just made me wince. I saw a bit of the next-to-latest Star Wars installment when it came onto the television and changed to a shopping channel. Oh well.